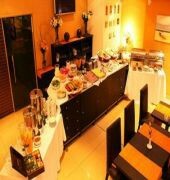 The hotel infrastructure is tastefully designed and is ideal for those travelling on business. Guests are warmly welcomed and guaranteed excellent service. 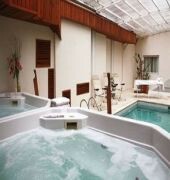 The hotel possesses a total of 91 rooms and suites, in addition to a foyer with a 24-hour reception, restaurant, wireless Internet connection free of charge throughout the whole hotel, hotel safe and 24-hour room service.This spa hotel is just a few metres from the main streets in Buenos Aires such as Av. Santa Fe, Av. Cordoba, Carlos Pellegrini and Av. Corrientes. 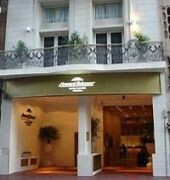 It is also next to many shopping centres, cultural and tourist attractions, and the main financial centres of San Telmo, Puerto Madero, Palermo, and Plaza Italia.All rooms are comfortable and warm and are fitted with en suite bathrooms with a private hot tub and a hairdryer. 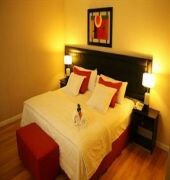 Rooms come with individually adjustable air conditioning, a direct dial telephone with voicemail, a flat screen TV, video cable, DVD player, radio, high-speed Internet access and a microwave.Major Buenos Aires attractions, such as Cervantes National Theater, Colon Theater and 9 de Julio Avenue are all in the vicinity of Blue Tree Recoleta Ker Hotel And Spa. Within easy reach of Torre de los Ingleses and Catedral Metropolitana.